FKA twigs is the star of a new advert for Apple’s HomePod. The four-minute video was helmed by Spike Jonze and sees twigs moving to a brand new song from Anderson .Paak titled “Til It’s Over” (which you can listen to separately below). In the ultra stylish visual, twigs comes home from a busy day at the office and listens to music on her HomePod. Through sound and dance, her environment is transformed – both metaphorically and literally. 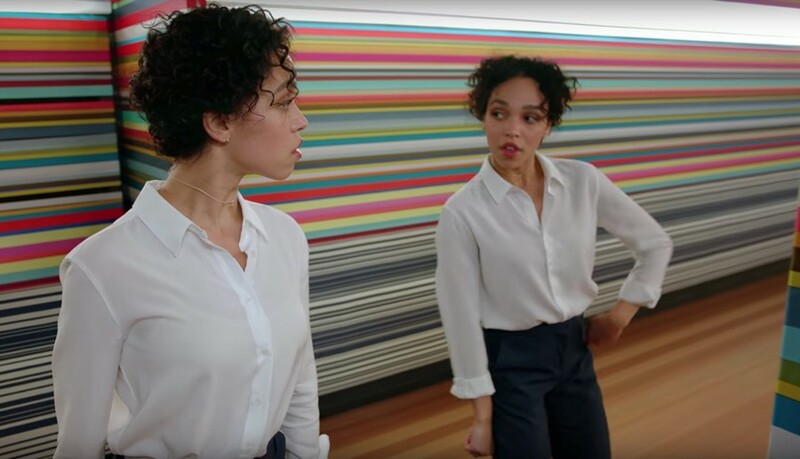 Later in the clip, twigs dances with a mirror image of herself. The advert continues Jonze’s fascination with dance and movement, which he has previously explored in Kenzo’s 2016 short film and the “Changers” dance/fashion show for Opening Ceremony’s SS18 collection.